to every household in the parish. Click image to download Questionnaire. 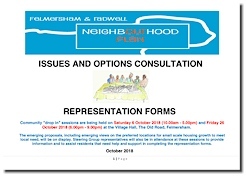 What period will the Neighbourhood Plan cover? The Plan is expected to be completed by 2017 and it will cover the period from 2017 to 2032. What sort of things can a Neighbourhood Plan include? 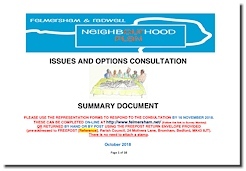 What is a Neighbourhood Plan not allowed to do? A Neighbourhood Plan cannot conflict with strategic policies in the Bedford Borough “Local Plan”. It cannot be used to prevent development that is included in the “Local Plan”. Who will be involved in the Neighbourhood Plan? It’s our objective that all residents will have the opportunity to have their say and participate in the Plan making process. There will be a very wide consultation process through public meetings and events, workshops and questionnaires, notices in these web pages, Ouse News, notice boards, meetings with community organisations and leaflets. 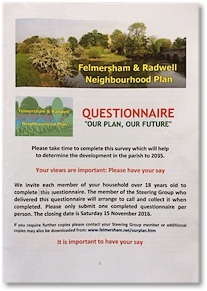 We really hope that residents will join us to help create Felmersham and Radwell for the future. 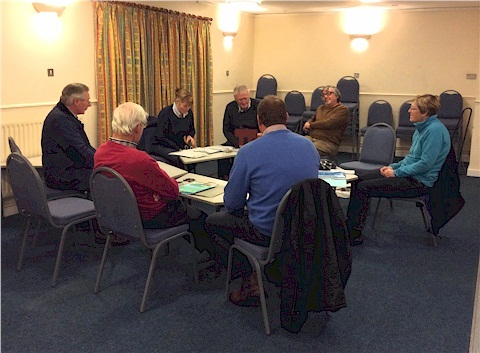 Iain Billing, Brian Gee , Rosemary Drewery (Chair), Dave Oliver, Luke Gardiner, Ian Kimsey, Jane Carwithern. Other members not in the photograph: Janet Cook, Janet Barbour, Susan Aykin and Ken Shrimpton.